← Venezuela: Can the revolution survive with a little help from its friends? 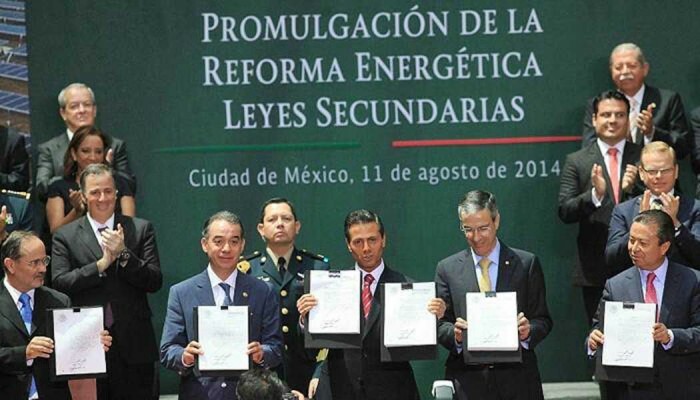 This week President Enrique Peña Nieto signed secondary legislation making Mexico’s historic energy reform the law of the land. In an address to the country Monday night, the President—as supporters of the reform have been quick to do—linked opening the energy sector to the country’s broader prosperity and growth. Peña assured Mexicans the cost of gas and electricity would gradually fall for households and businesses, allowing firms to grow and hire more workers. Children pondering their future should consider careers as scientists and engineers, the President continued, as the country will need highly-skilled workers in these areas. 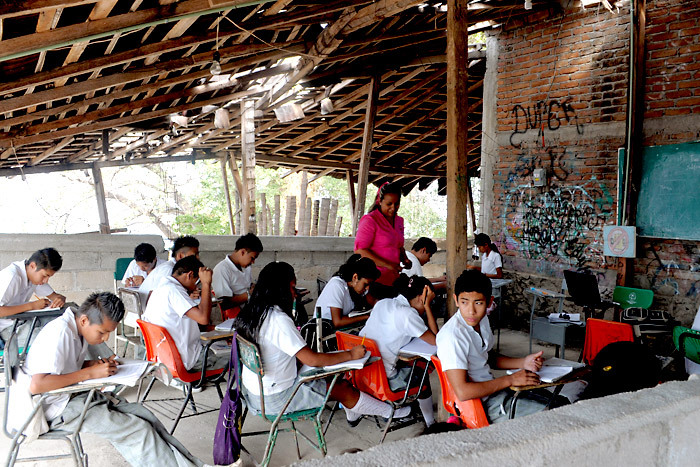 The President clearly recognizes his package of structural reforms—in energy, but also in education, telecommunications, and fiscal policy—will ultimately be judged by whether they improve the conditions and prospects of the average Mexican. In this regard, there is a long road ahead. While the international media sees Mexico as a beacon of hope for the world, the country that President Peña addressed Monday counts about half of its population in poverty, has a minimum wage of a measly US$ 5 (shockingly, less than that of El Salvador, Guatemala, and Honduras in purchasing power terms), finds one out of three 15 year-olds out of school, and has seen a sharp rise in extortions and kidnappings since he took office. It is a country where being a mayor is a dangerous job. Peña has, to his credit, begun to address many of these challenges with well-intentioned reforms. His education overhaul should help break teacher unions’ stranglehold over state governments, and the telecommunications reform will eventually bring down exorbitant internet and mobile prices. Both reforms hold part of the answer to Mexico’s stubbornly slow growth. However, there is one area where the President has been notably silent. 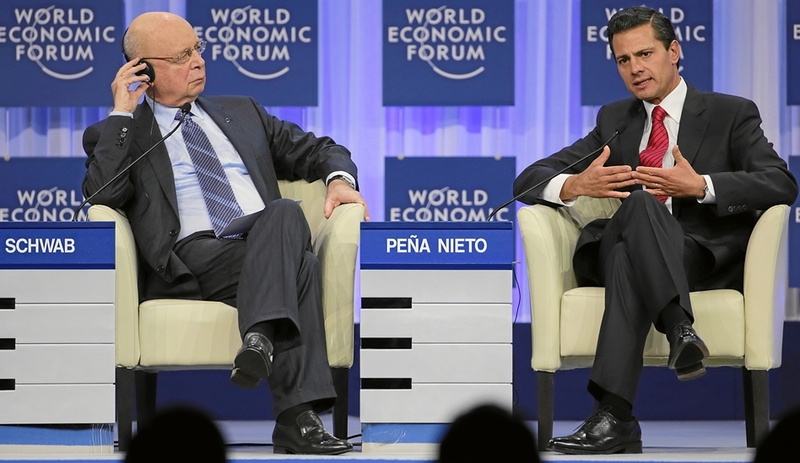 During his campaign, Peña offered little in the way of a strategy to combat organized crime. The PRIistas seemed to believe that by emphasizing the economy instead, they could differentiate Peña from the heavy-handed (and unpopular) approach of his predecessor, Felipe Calderón, without having to define a plan of their own. Calderón controversially deployed the Mexican military to fight the cartels upon taking office in December 2006. His sexenio ended with over 60,000 causalities of drug violence, and cartels still entrenched in large swaths of Mexican territory. Peña Nieto, his enthusiasm for bold reform notwithstanding, has found it difficult to change course on security. Instead, the current administration has continued a trend since the 1990s towards greater centralization of security policy. Calderón’s militarized strategy was only the most extreme manifestation of this. Law enforcement in Mexico used to be primarily a local affair, but the growing size and strength of Mexico’s drug traffickers (along with broader changes such as urbanization and a growing young male population) has forced the federal government to take increasing control. Beginning in the 1990s, more types of crimes were added to the Federal Penal Code, and new federal agencies and law enforcement units to combat drugs came into being. The 1996 Federal Law against Organized Crime articulated the nature of the problem for the first time and outlined the federal government’s strategy. At the same time, decentralization and competition gradually became features of Mexican politics, allowing state governors to accumulate considerable powers and resources with little oversight or incentive to exercise them responsibly. Not surprisingly, newly-independent state-level institutions, including police forces, judiciaries, and executive agencies, have proven unable to guarantee security and rule of law in many parts of the country. As a result, federal interventions to quell violence have been the norm since the Fox administration (2000-2006). Calderón upped the ante, increasing the duration, intensity, and frequency of these operations. The objective was not merely to reestablish order but to maintain territorial control. One consequence of this approach was a sharp uptick in violence, although the direction of causality is still debated. Calderón’s strategy was successful in states such as Baja California, Nuevo León, and Chihuahua, where the federal government could rely on relatively competent state authorities, and critically, strong support from civil society groups demanding an end to the violence. In other territories, such as Guerrero, Michoacán, and Tamaulipas, the problem continued to fester—as the current administration has discovered. The root of the problem continues to be ineffective, under-resourced, and all-too-often complicit local and state authorities. Take Michoacán, the state where Calderón sent federal troops his very first week in office. The penetration of the Knights Templar cartel there has gone well beyond the drug trade, extending to all aspects of economic life and threatening to erode the state’s social fabric. 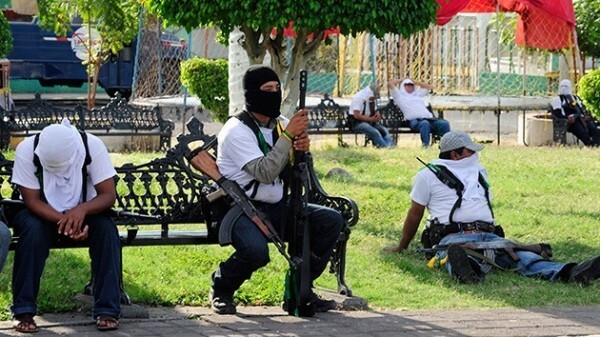 The cartel’s penetration sparked a citizen-led self-defense movement that openly battled the Knights for control of cities and towns throughout the state.In January 2014, Peña appointed a special federal administrator to take charge of security in Michoacán and oversee the integration of the so-called autodefensas (which have also arisen in states as diverse as Morelos, Guerrero, and Jalisco) into official security forces. Where were the state authorities? The recent arrest of Rodrigo Vallejo, son of former Michoacán governor Fausto Vallejo, who stepped down in June for health reasons, should suffice to explain their failure. The younger Vallejo refused to cooperate with federal authorities after a video surfaced of him drinking beer and gossiping about state politics with La Tuta, the Knights’ leader. Of course, a degree of centralized control of security policy is necessary. The federal government has a basic responsibility to ensure national security, and effective anti-crime efforts require coordination across states, justifying a federal role. However, ad hoc and increasingly assertive federal interventions are no substitute for building state and local institutions capable of protecting their citizens. Federal operations will be necessary while states continue to lack these capacities, but as long they remain the norm, states will continue to lack incentives to reform their law enforcement and judicial institutions. From a governor’s perspective, a federal intervention offers both badly-needed resources and a scapegoat if the initiative fails. Why would states want to undertake the hard work of reforming institutions under these circumstances? In order to break this cycle, the Peña government should establish clear limits and terms for future federal interventions and make its support conditional on states’ taking steps to strengthen their law enforcement and judicial systems. One good example would be to finally implement reforms to the criminal justice system, which despite being passed in 2008 are only in place in three states. Without seriously reforming the country’s public security apparatus, it is hard to see how the president’s vision of prosperity and growth will be attainable throughout all of Mexico. In addition to the fundamental question of human security, the deleterious effect of organized crime on local economies has been well documented. One report estimated the cost of organized crime in Mexico at 1.3 percent of GDP—greater than the economy’s overall growth rate last year. Mexico’s missing reform may be the one that matters most. Brazilian Bonds: Hot or Not? NAFTA at 20: A Good Deal for Mexico? This entry was posted in Uncategorized and tagged decentralization, energy reform, Enrique Peña Nieto, Mexico, Michoacan, security policy, War on Drugs. Bookmark the permalink. Violence is unfortunately Latin America’s everyday currency. Population lives on their knees and under the gun. Government officials fear taking any action. The brave ones end up dead. Still, people vote for politicians and they must respond accordingly.